rubber foam are used for the heat-insulating and heat-preservation of shell of big tanks and piping in the construction, business and industry, heat insulation of air conditioners ,heat insulation of joint pipes of house air conditioners and automobile air conditioners.Foamax rubber foam are widely used in the protection of sport equipmen,in cushions and diving suits. 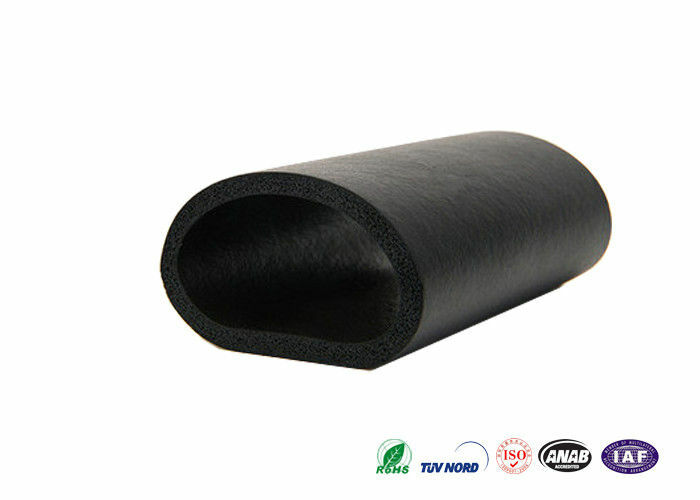 Foamax rubber foam are used in sound isolation of wall planking,sound absorption in air ducts ,and sound absorbing decorations in resistance and pressure relief in instruments and equipment. 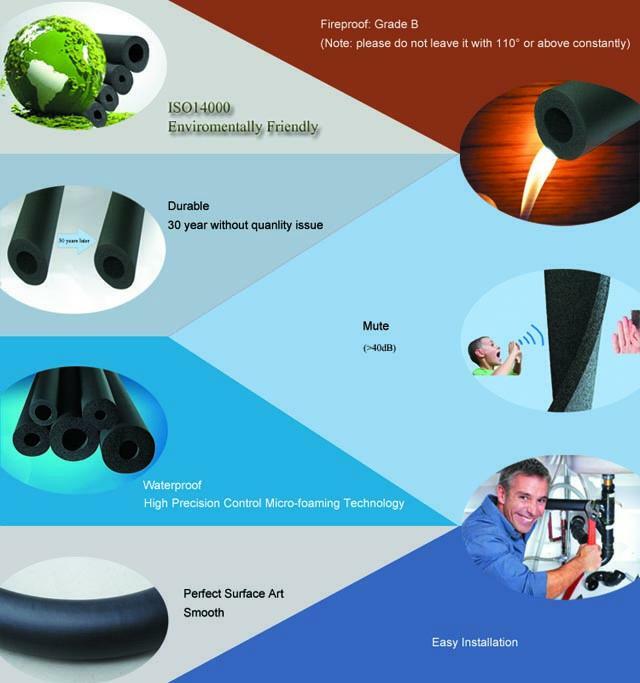 Solar energy water piping thermal insulation. Buildings and industries metalized piping and tube insulation. Special insulation and protecting for some small pipes and electrical pipelines. 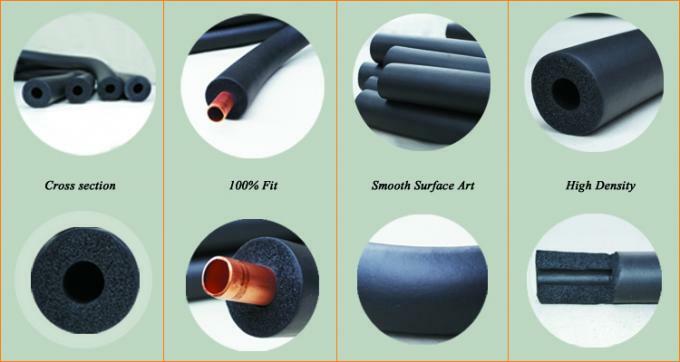 - PERFECT HEAT PRESERVATION INSULATION: The high density and closed structure of selected raw material has the ability of low thermal conductivity and stable temperature and has an isolation effect of hot and cold medium. - GOOD FLAME RETARDANT PROPERTIES: When burned by fire, the insulation material do not melt and resulting in low somke and do not make the flame spread which can guarantee the using safety; the material is determined as nonflammable material and the range of Using temperature is from -40℃ to 105℃. - ECO-FRIENDLY MATERIAL: The environmental friendly raw material has no stimulation and pollution, no hazard to health and environment. Moreover, it can avoid the mold growth and mouse biting; The material has the effection of corrosion-resistant, acid and alkali, it can increase the life of using. - EASY TO INSTALL, EASY TO USE: It is convenient to install due to it is not need to install other auxiliary layer and it is just cutting and conglutinating. It will save the manual work greatly.